Grief has turned to protest, as thousands of people demonstrate in cities across Russia- upset with officials over the fire which occured in the siberian city of Kemerovo. 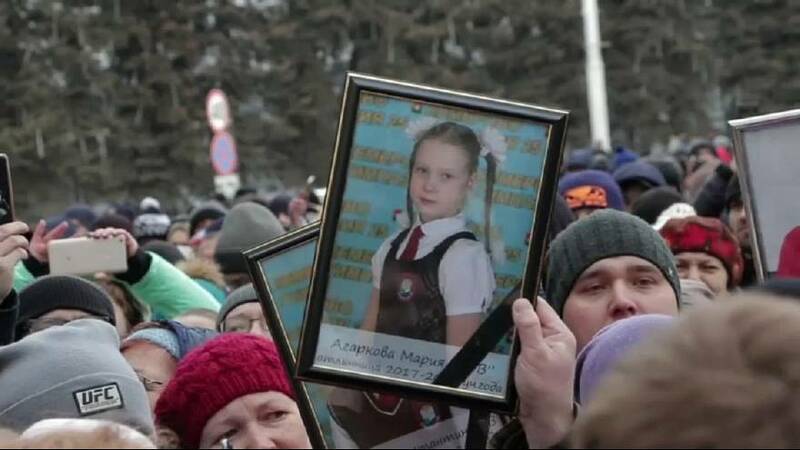 Mourners gathered after the blaze in a leisure complex killed at least sixty-four people, forty one of them children, amid reported chants of "Putin resign!" Relatives say dozens of people - including children - are still unaccounted for. Four people have been charged for their involvement in the tragedy, including two people who worked at the shopping mall. Investigators say fire alarms were switched off and exits blocked.